Painting and stencilling a media stand with chalk paint – Cleaning/Prep - Chalking Up Success! Painting and stencilling a media stand with chalk paint is a great idea. 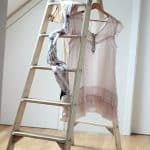 What’s not such a great idea is if you do it whilst you have a frozen shoulder – we live and learn! This old media stand was a freebie find in eBay small ads. 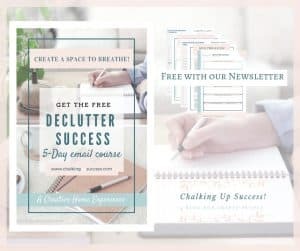 It just so happens that Someone local was getting rid of a load of furniture for free in a house clearance and a media stand was on my list of things to get – perfect! I’ve actually been wanting to replace the table that was holding our CD player etc. for the longest time but as is usually the way, when I’m looking for something specific, I can never find it! Anyway, I was looking for a cupboard or chest which I could paint with chalk paint and it had to be slim enough to fit in the space between our sofa and the wall. I have to admit though, the timing could have been better. Why couldn’t I have found it during Summer when I could have painted it outside? It was a few of weeks before Christmas when this little beauty turned up so I did most of the work in our lounge – which turned out not to be such a good idea after all as you’ll find out later! 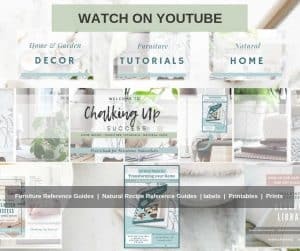 I thought ‘Painting and stencilling a media stand with chalk paint’ would make the perfect makeover for my YouTube debut and so I set about filming the whole project. Let me let you into a secret, filming a chalk painted furniture makeover a few weeks before Christmas when you also have a frozen shoulder is not such a good idea. 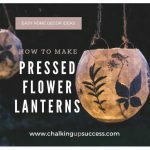 Filming turned what should have been a quick chalk paint makeover into an epic saga. (A catastrophe happened with the first video so please be gentle on me when you watch it!). Nevertheless, I was determined not to let my frozen shoulder stop me from getting this makeover done! 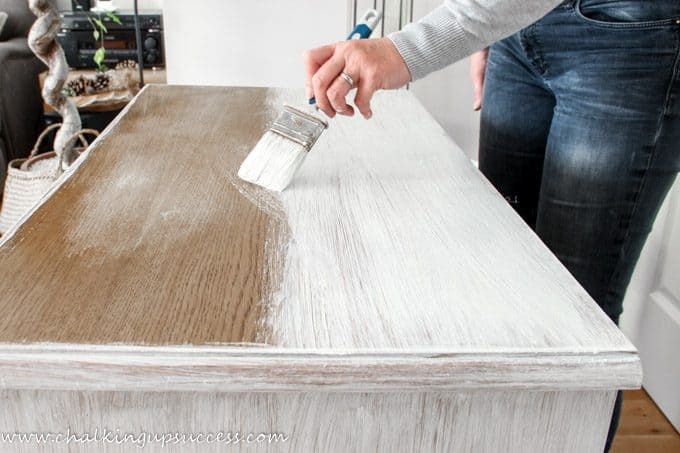 The first thing to do with any piece of used furniture is to give it a thorough clean. 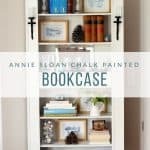 Because I don’t want to repeat myself in every furniture makeover I do, I’m linking to the post which explains my process for that here: Easy bookcase makeover using Annie Sloan Chalk Paint. 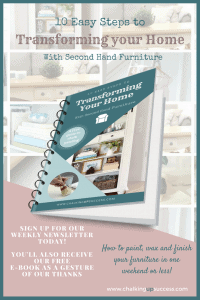 By the way, if you’d like to know more about using second-hand furniture in your home, our free gift for newsletter subscribers ’10 Easy steps to transforming your home with second-hand furniture’ is packed full of information to get you started. 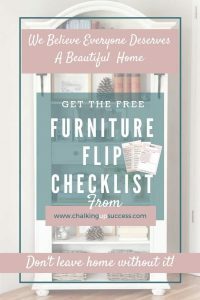 As a subscriber, you’ll also gain access to our Subscriber Library where you can download the ‘Furniture Flip Checklist’ – see the post How to buy used furniture and get it right first time for more details of that. If there are any imperfections in the furniture, you’ll usually find them whilst washing it down. I found a small nail which had been hammered into the side of my media stand – you know, the type used to hang pictures on a stud wall (You can see it in the photo above, just above Brilli’s head). When I tried to use pliers to pull it out, the head snapped off and the nail stayed put – typical! In the end, the only alternative was for me to bang it in with a soft rubber mallet (so as not to damage the wood) and that did the trick nicely. There was also a power strip stuck to the other side. I was able to pull most of that off by hand and then I just sanded over it to get rid of the rest. 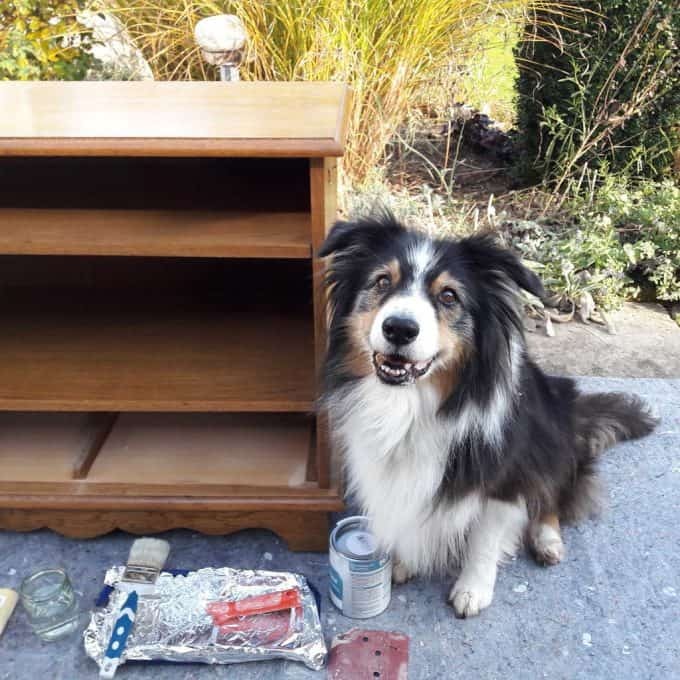 There’s no ‘one prep fits all’ for furniture painting, how much prep you have to do depends on the type of furniture you’re dealing with. Before painting this media stand, I decided to give it a quick sand over with my Bosch mouse sander to rough up the surface. 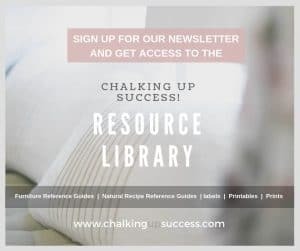 I don’t always do this as I said, it depends on the type of furniture you have – our free e-book has more information about furniture prep so I’ll not go into that again here. Now the media stand is ready for priming (if you’re going down that route) or painting with chalk paint (if you’re not). The wood-stain on this media stand is a bit dark and I’m opting for the safer route. I’ll give it a light coat of watered-down primer before I paint just to be sure I don’t get any bleed through from the old dark stain. I think I’m going to have to show you that in the next post otherwise this one will be too long. 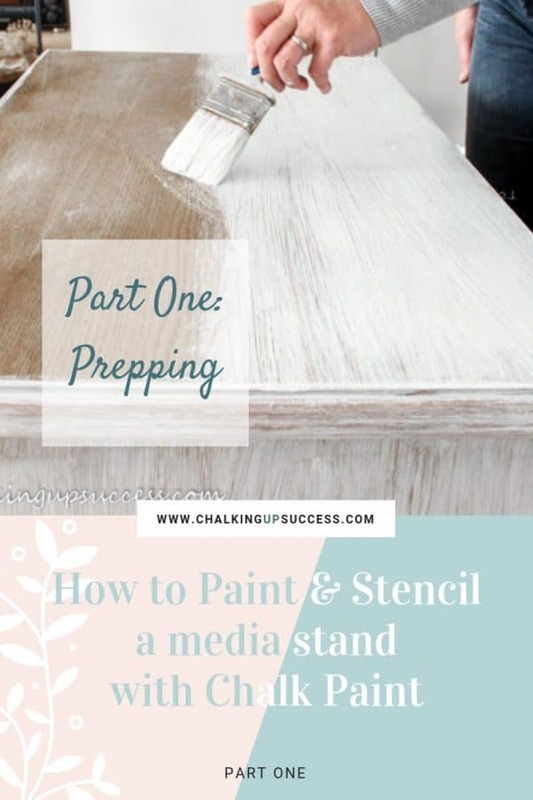 Next up, Part Two: How to paint and stencil a media stand with chalk paint Part Two – Primer & Duck Egg Chalk Paint.